Dry Needling is a treatment technique that uses sterile acupuncture needles to eliminate trigger points within muscles and other soft tissues of the body. Trigger points are the small knots within muscles that are often tense or sore to touch. They can increase pain, limit motion, and decrease sports performance. If trigger points go untreated, they can worsen over time. The sterile acupuncture needle is inserted into the trigger point, causing an immediate “release” of the trigger point, reducing pain and muscle tension. After dry needling, you’ll notice increased mobility and pain-free living! Though the thought of needles is intimidating, dry needling is a low-risk technique that can deliver amazing results. For most, there is little or NO DISCOMFORT with the needle. When the needle hits the trigger point, a “twitch response” happens, which feels like a muscle cramp (though a quick one.) After dry needling, muscle soreness sets in for about 24-48 hours. Drinking plenty of fluids and applying heat can usually reduce the soreness. Though dry needling and acupuncture both use sterile needles, the methodology behind each treatment is different, as are the techniques and education behind them. 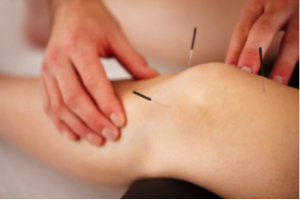 What benefits of Dry Needling are there? 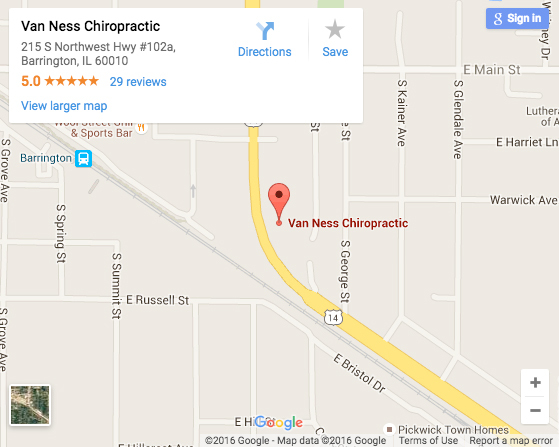 Van Ness Chiropractic is happy to offer dry needling for the spine and extremities. Call today to find out if you are a candidate for this great service.